NATIONAL Master Rustum Tolentino, one of the newly-established Masters Class Chess School (MCCS) instructors in Cagayan de Oro, proved that he's a class above the rest. The 37-year-old Tolentino played in style, scoring 6 wins and a draw in seven rounds then narrowly edged fellow 6.5-pointer Nazario Ubanan in the Bucholz tiebreak to clinch the Open division crown of the Atty. Rufus B. Rodriguez Open Chess Tournament held March 23 at the Nazareth gym in Cagayan de Oro City. 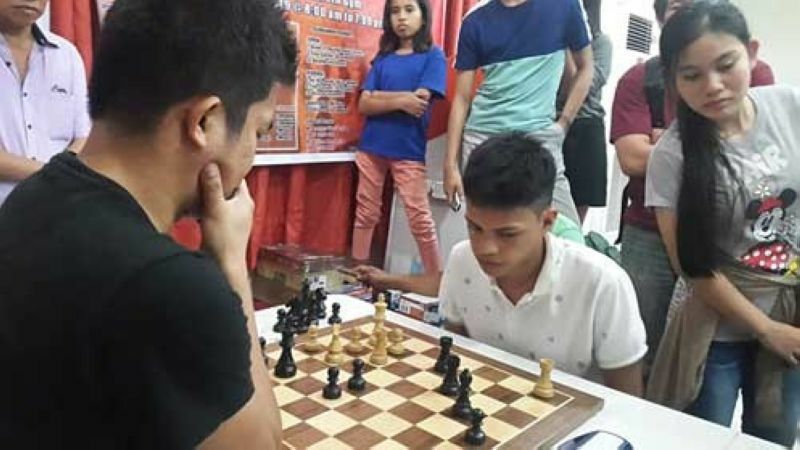 For his feat, Tolentino--also the board one gold medalist in the recent Araw ng Talakag chessfest in Bukidnon--ran away with the P10,000 top purse and the championship trophy, while Oro compatriot Ubanan received the runner-up prize of P6,000. "The Rufus Cup was really an opportunity for me to showcase the quality of chess that we have in the Masters Class Chess School. Kumbaga kung ano ang puno ay siya rin ang maging bunga. If the mentors can become a champion and so their chess pupils too," a beaming Tolentino told SunStar Cagayan de Oro. Iligan City pride and FIDE Master Victor Bruce Lluch got the better over fellow 5.5 pointers Basilio Pandan Jr. of Butuan City and Bryan Jose of Talakag in the tiebreaker to claim the third prize worth P4,000 also with trophy. The veteran campaigner Pandan and the 20-something Jose, a former national Shell Active junior champion, settled for fourth and fifth with P2,000 and P1,000 take-home. The rest of the top-10 finishers--Eduardo Tare II, Lyndon Lumancas, Ronald Canino, Clyde Harris Saraos and Jake Gonzales--got P1,000 apiece plus medals. Tolentino's victories were made at the expense of Jaime Abbarientos, Clement Valledor, Pandan, Gonzales and Canino. While Ubanan's casualties include Rhea Jane Canino, Mardonio Fuentes, Jeriel Manlimbana, FM Lluch and Tare. In the seventh and final round, Tolentino showed no problem with the black pieces as he completely outplayed the youthful Canino in a Sicilian Alapin encounter that saw him demonstrating the power of a strong Bishop against a passive Knight in the endgame. The Masters Class guru, however, considered his fifth round draw with Ubanan as his toughest test in the day-long rapid tourney. "Na-blunder ko with black in a Queen's Gambit Exchange opening na one-pawn down pero nadiskartehan ra nga ma-equalize," said Tolentino, who was commended by Masters Class main backer NM Roly Tan and fellow trainer NM Levi Mercado for a job well done. Lawrence Raphael Lawan of West City Central School and Lara Dalagan of Tagoloan, Misamis Oriental, among the pioneering MCCS students, were also successful in elementary level (Grade 1-3) of the cash-rich Rufus Cup chessfest. Lawan and Dalagan made it to the top with 5 points each in the company of Keith Adriane Ilar of El Salvador Central School and Karl Adrian Dalauta of Bulua Elementary School. After the tiebreaker, Lawan emerged champion, while Ilar, Dalauta and Dalagan shared finished second, third and fourth, respectively. "Nalipay kaayo mi'g dako nga ilang nakita sa Masters Class Chess School ang potential sa among anak and na invite `mi nga magpa-enroll. 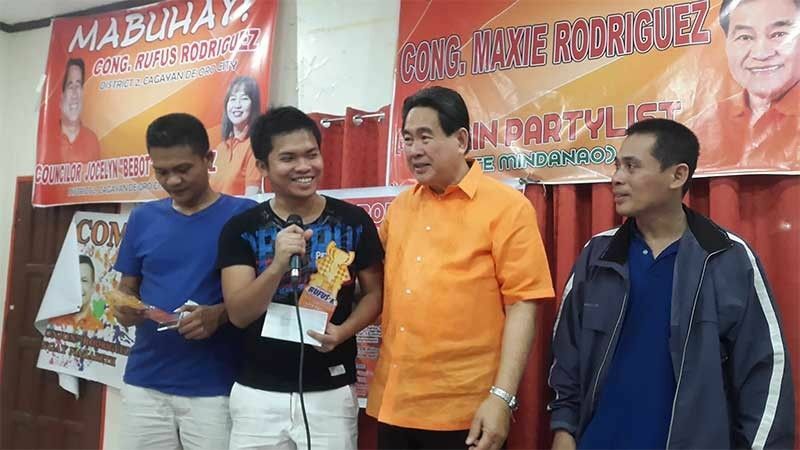 We're so happy with this development," Lawrence's mother said during the awarding ceremony.